Broad background, extensive experience and undeniable passion. I came into coaching as a natural progression from my work as a professional psychologist. While coaching is a relatively recent development that has come into popular use to deal with the challenges of our fast-paced, constantly evolving modern society, in retrospect I realised that I was employing a “coaching” process in much of my work with my psychology patients. I studied psychology at the University of St. Andrews in Scotland and then pursued professional psychology training at Queens University Belfast where I received a Masters of Science. My career as a clinical psychologist began in the 1980s in the National Health Service of the UK. I soon found that my passions lay in working with mental health rather than mental illness. I preferred to work with individuals dealing with eating disorders, depression, low confidence or self-esteem, anxiety and stress. During this time, I also took advantage of the many opportunities in London to advance my personal and professional development, including courses and supervision at the Tavistock Clinic and the Women’s Therapy Centre. I moved to Germany with my husband and our two young children and took a brief career break to devote to motherhood. Since we were no longer in an English-speaking environment, I worked to improve my German skills and set up my own business to teach, develop and evaluate Business English language training for local companies. Once I was proficient in German, I pursued involvement in projects more in line with my psychological work, such as the local school’s addiction prevention programme. During a one-year stay in Brussels, I laid the groundwork for a return to hands-on work with clients – work which I’d missed tremendously. At this point, I found myself gravitating toward coaching. I entered training with the Coaches Training Institute in London where I completed my preliminary training in 2006. By 2009, I had earned full certification as a CPCC – a Certified Professional Co-active Coach. I also continued to develop my coaching abilities, broadening my perspective and gaining expertise. In 2006, I trained as an NLP Practitioner with Ian McDermott at ITS. continuing on to become a Master Practiotioner in 2011. 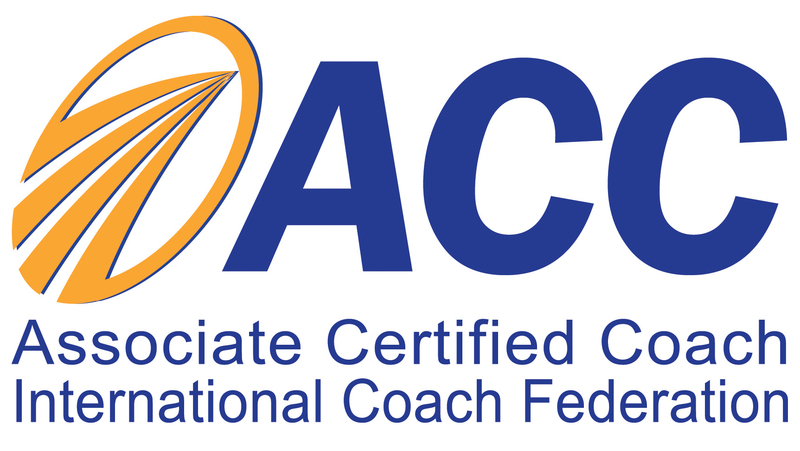 And in September 2009, I was awarded the Associate Certified Coach (ACC) designation by the International Coach Federation. Currently I am undertaking the european year-long NLP Health Certification Programme. I coach from a whole-life perspective. The issues that affect one area of our lives can and will impact other areas. It is impossible to separate life into contained spheres of family health, work and relationships. Therefore, I believe it’s not in my clients’ best interests to offer help in just one aspect of their lives, while ignoring the rest of the interrelated areas. I have experienced – and survived – personal transitions. Over the years, I have lived with my family in the UK, Germany, Belgium and now Switzerland (thankfully, with no further moves planned). I have successfully navigated much of the change and transition that I now assist my clients with, and I feel that my own life has been enriched by meeting these challenges. I practice what I preach. I believe that coaching is a truly effective method for effecting change and maintaining your desired lifestyle. That’s why I engage in regular coaching sessions with my own life coach – which, in turn, not only improves my personal situation but also helps me to better serve my clients. Are you ready to begin your transitional journey? Contact me to set up your free, no-obligation coaching session today.